Garden of Aaron: Cutest. Caterpillar. Ever. 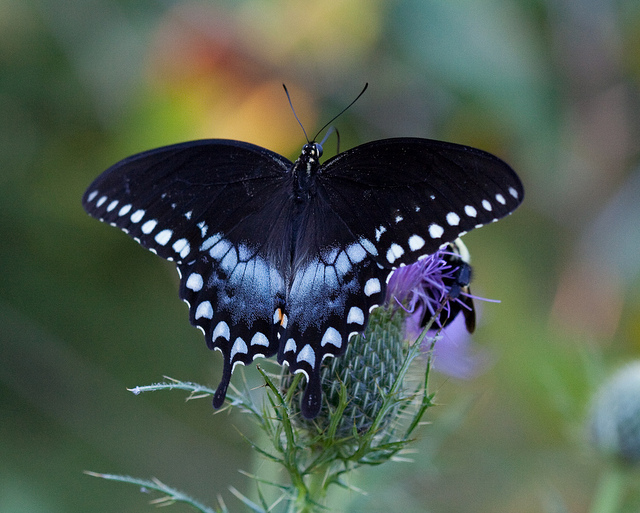 My, what big eye spots you have, Papilio troilus! Remember a little while ago when I posted about a mystery seedling that had popped up next to my house? 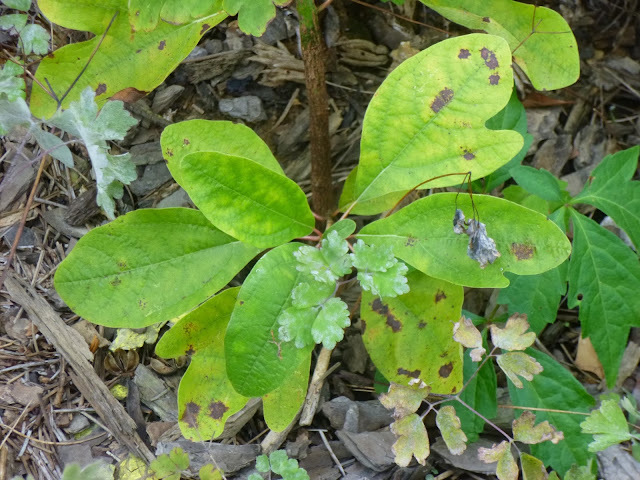 I thought it looked a little like a sassafras (Sassafras albidum), but I couldn't be sure because the leaves were simple/entire, whereas sassafras usually has lobed, mitten-shape leaves. One wise gardener (shout out to Laurrie!) who commented on my original post thought the mystery plant could be a spicebush (Lindera benzoin), which did seem like a reasonable possibility. 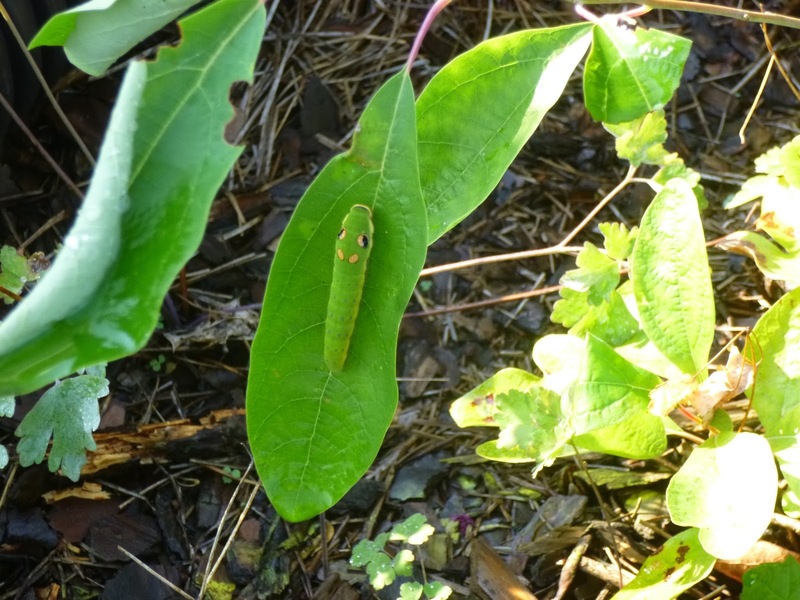 Well, I happened to go outside one day about a week ago and spot this large, adorable caterpillar resting on a leaf. "Ah ha!," I thought. "This is a spicebush swallowtail caterpillar. Which means, this must be a spicebush." Except, of course, that I was wrong. When I looked more deeply on the WWW, I found that the spicebush swallowtail caterpillar munches not just on spicebush leaves, but also feeds on other species including sassafras!! So, I was back to square one in terms of not knowing the identity of my seedling, except that when I kept a close eye on it, I noticed that it had started producing lobed mitten-shaped leaves. Here you can see all three types of sassafras leaves - three-lobed, mitten-shaped and entire/simple (no lobes). Mystery solved! Which means, I will need to transplant it, because having a tree that can grow 30 to 40 feet tall growing 6 inches from your house is Not a Good Idea. Will it survive transplantation? I don't know, but I've got nothing to lose by trying and a nice native tree to gain for the landscape if it works out. PS - I'm a little worried about sassfras' reported tendency to sucker, but I think I'll take that risk and try keeping it anyway. It's supposed to be a beautiful tree and I'd love to see more of those caterpillars and the beautiful swallowtail butterflies they become. What other amazing discoveries could I make in the garden? Find out with a free email subscription to Garden of Aaron.